How Do I Set Up Outlook 2011? Note: If this is your first time setting up Outlook 2011, you will likely need to start with Step 1a and then proceed to Step 3. 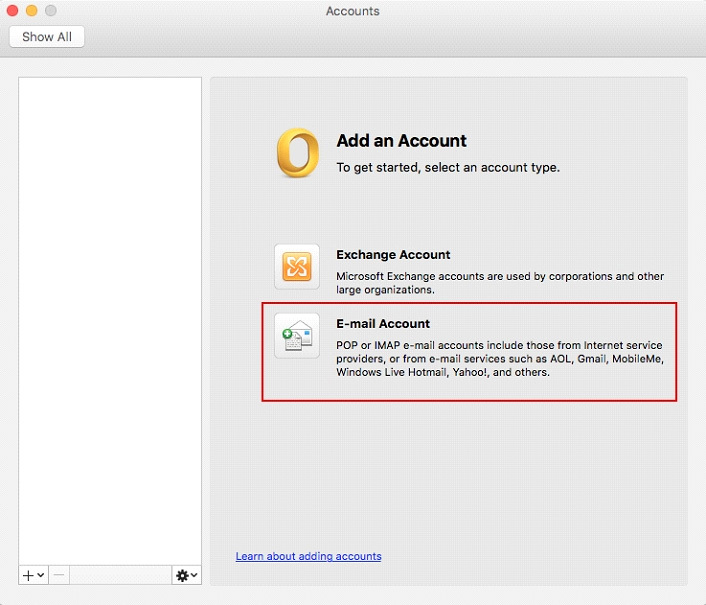 If you already have a different email account set up and/or currently use Outlook 2011, start with Step 1b and proceed to Step 3. 1a. If this is the first time setting up an email account, you should see a screen similar to the one shown below. Click Add Account, then click E-mail Account. 1b. 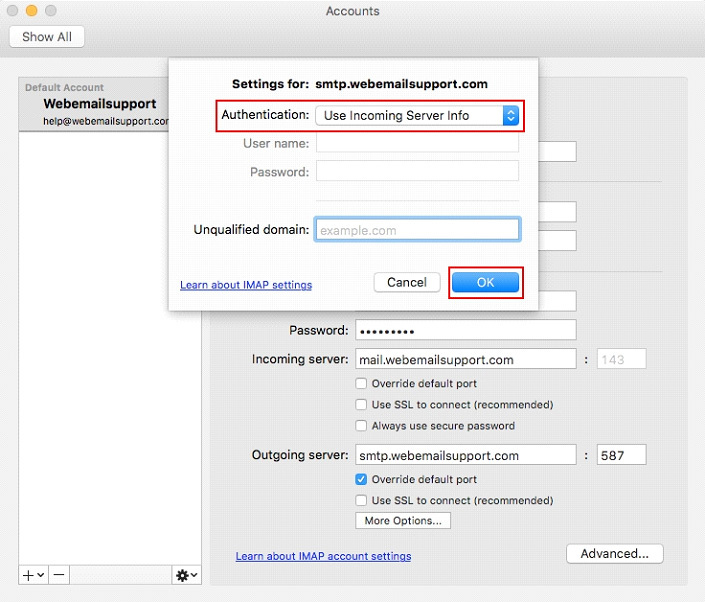 If you already have an email account set up, when you open Outlook, select Tools, then Accounts from the menu bar. 2. 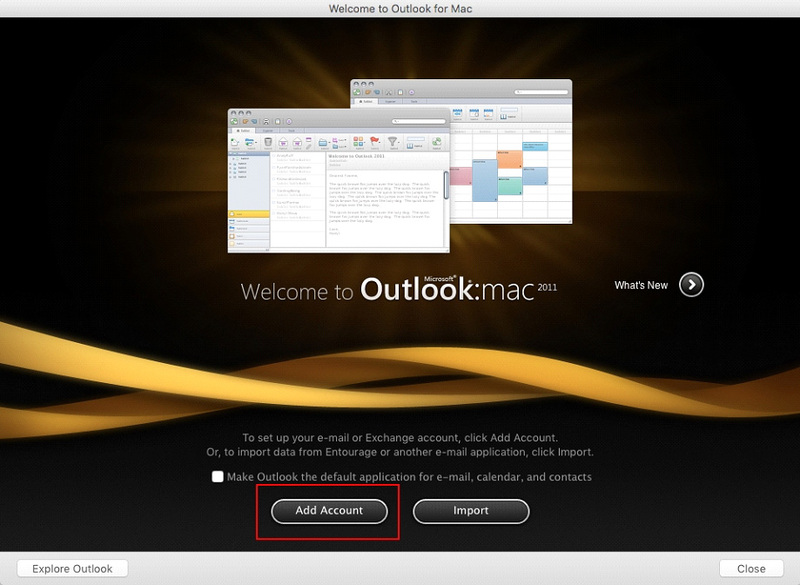 Add a new Email account by selecting the + button and E-mail. 3. Use the following table to enter all of the required settings. Then click Add Account. 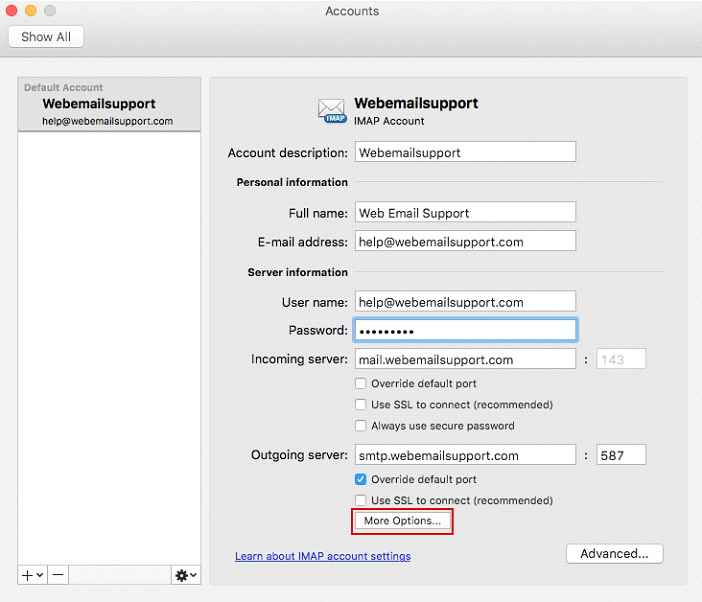 Email address Enter the full email address of the account that you are setting up. User name The full email address of the email box that you are currently setting up. 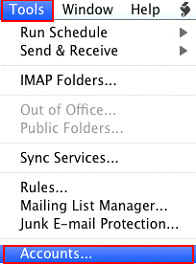 Type Select IMAP or POP3. Incoming server port 110 for POP or 143 for IMAP. Note: This will likely auto-populate for you. 4. Click More Options under the Outgoing server section. 5. Select Use Incoming Server Info for authentication, then click OK. Your email account is now set up. You may close the Accounts window and begin using Outlook 2011.